Castle Point Books, 9781250233578, 192pp. An exhalation of love, loss, and heartbreak, Abandoned Breaths is a poetic work of catharsis. From the acclaimed author of I Find You in the Darkness, Alfa’s writing is at once deeply personal and universal—resulting in an emotive force that stays with you. This new edition of Abandoned Breaths includes an updated introduction and a brand-new chapter of modern poetry. 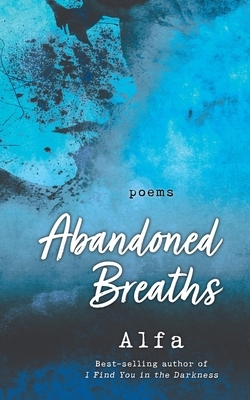 Find respite, resilience, and rejuvenation from the moving poetry of Abandoned Breaths. that need to be said. Buried beneath pride and fear. and dusty corners of a crying soul. Not alive, but not dead. Words that need to be said.